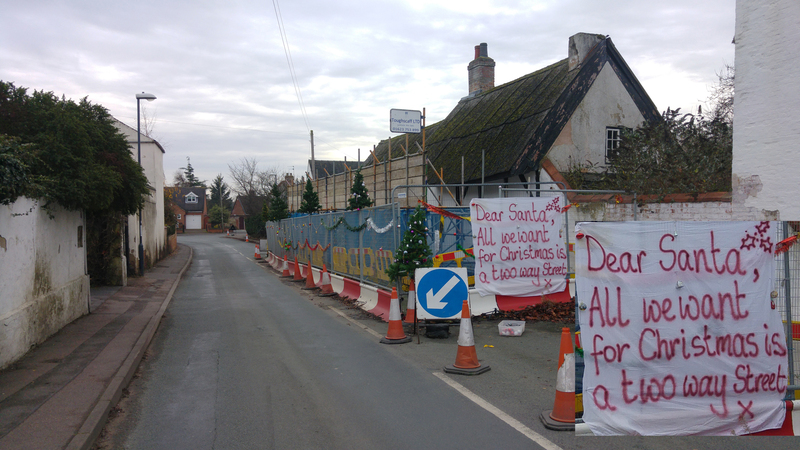 Fed up residents of Church Street, Alvaston have added Christmas decorations to a Derby City Council erected roadblock that has been in place for nearly two years. The city council has alleged that a Grade II listed building is in danger of collapse despite a period property specialist builder dismissing the council’s claims as nonsense. A full chronological report of the council’s actions is detailed on the Alvaston Community Action Team’s Facebook page with a video here. A contractor working on site confirmed to the Derbyshire Independent that senior city council officers were aware that the building was not in imminent danger of collapse. In response to the Derbyshire Independent’s request for further information, Derby City Council refused to provide a breakdown of its claimed costs of over £60,000. Next articleMinistry of Justice – Hacked?